Clients throughout Canandaigua, New York place their trust in The Law Offices of Michael Robinson, P.C. when they need assistance with elder law and estate planning matters. Our legal team helps people of all ages, and we can provide the right advice for any life situation. We care about our clients and it shows in the services we provide. Give us a call at 585-374-5210 to find out more about the ways in which our legal team assists residents in and around Canandaigua with asset protection, incapacity planning, financial planning, legacy planning, and more. Canandaigua is a city of around 10,000 people. It is a part of Ontario County and it is located within the Town of Canandaigua. The City is set on the northern part of Canandaigua Lake. It is close to Rochester, and is just 24 miles to the south and east of Rochester. The City is also just 58 miles to the west of Syracuse. Canandaigua has a long history. It was visited by several French explorers in 1669, and the explorers recorded that they observed a spring which appeared as if it was burning. Today, science has shown that this burning is the result of natural gas which is escaping from the ground. There are multiple springs in Canandaigua which give the appearance of burning. Canandaigua is known for much more than its fiery springs. It is the home of Finger Lakes Community College and is the headquarters of Constellation Brands, which was originally founded as a company called Canandaigua Wine Company. One of the biggest Wegmans grocery stores in the country is located in Canandaigua, as are the Sonnenberg Gardens. In Canandaigua, 16 percent of households were made up of someone who was at least 65 and who was living alone, as of the 2010 census. Seniors who live independently in their own homes may begin to need additional service and support as they get older and begin to experience effects of aging. The Office for the Aging in Ontario County is located at 20 Ontario Street, Canandaigua, NY 14424. The Office can be reached at 1-877-267-1984. The office provides information on Medicare enrollment, in-home and community based care, programs offering meal service for seniors, housing options for seniors and the disabled, and much more. Seniors who wish to get out more can find out about senior clubs, and there is also information about transportation for seniors who may no longer be mobile and able to get around on their own. The resources from the Office for the Aging can improve quality of life for seniors in Canandaigua, NY. Sometimes, however, seniors will still need to get nursing care eventually as they get older. A Place for Mom has a list of 12 nursing homes in Canandaigua, NY with an average rating of 4.2 stars out of five. Prices start at $2,625.00 but many nursing homes cost much more. Medicaid planning with the help of an elder law attorney can help seniors to protect assets and get their nursing home bills paid by Medicaid, since most insurers including Medicare typically decline coverage for routine nursing home care. Medicaid planning is one of many services an elder law and estate planning attorney provides. Many people are surprised to find that elder law attorneys do much more than just help seniors to create a will. Elder law and estate planning lawyers help young singles, young families, people in middle age, and seniors. Attorneys provide assistance in planning for retirement, protecting your growing assets, and naming a guardian for your kids if something happens and you cannot raise them. Elder law attorneys also do much more, from helping you to give to charity or leave money to family to ensuring you don’t end up with unwanted medical care if you are sick. To find out if an attorney can help you to accomplish your goals and use New York legal tools to protect your future, you should speak with an attorney about your situation. One of the main reasons clients turn to an elder law and estate planning attorney is to get help with staying out of court. You may want your family to avoid guardianship proceedings and you likely want to limit the assets that transfer through probate. In some situations, however, court action and court appearances are needed. Choosing the right court in Canandaigua is necessary when this happens. Canandaigua is located within Ontario County. Ontario County is part of the 7th Judicial District. This means matters related to probate, guardianship, and other estate issues will be heard in the Ontario County Surrogate’s Court. This is located at 27 North Main Street, Canandaigua, NY 14424. The telephone number to reach the Surrogate’s Court is 585-412-5301. The court hours of operation are Monday through Friday, 9:00 AM to 5:00 PM. If you must proceed with any type of court proceedings, it is beneficial to have an attorney who knows the local court system and who can guide you through the process of filing paperwork, obtaining necessary documentation for the court, and proving your case within the court. 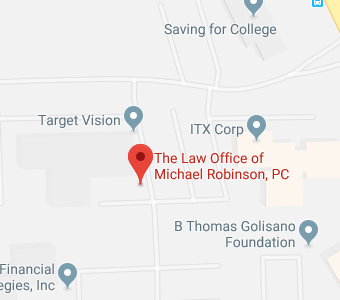 The Law Offices of Michael Robinson, P.C. can provide invaluable help to individuals and families in Canandaigua. We understand the local courts and the New York rules that clients need to use to protect themselves and their families. Our assistance extends to helping clients with the full range of issues that matter to securing their assets, securing their future, and keeping their loved ones safe. From financial planning to asset protection to incapacity and legacy planning, our legal team is here to help with the issues that matter. Give us a call at 585-374-5210 or contact us online to speak with a member of our legal team and to find out more about the ways in which a Canandaigua elder law attorney can help you.